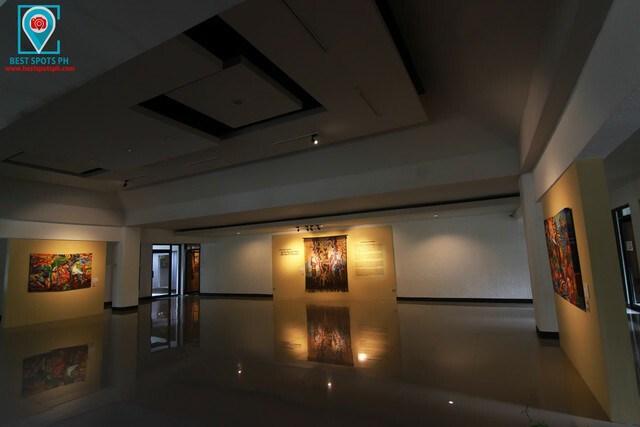 It was a great surprise when we entered the doors of the National Museum Butuan Branch; Not even a single piece of my imagination have given me a chance to witness with my very own eyes an art highlighting different advocacies while promoting the custom and traditional creativity of the indigenous people- it was an unexpected chance! The thoughts of paying a visit to one of the branches of the National Museum took me a great amount of time. This has not even my first visit to this historical city, i have been here for several occasions and yet, chances were were previously slim that has always been an experience I wanted to realize and yet somehow, prolonged until this visit happened. My notion is very clear- to get a glimpse of the historical treasures of cultural materials, and artifacts that somehow prove the prehistorical testaments, cultural heritage and richness of this city- through the accidental discovery in 1974 of the Balanghai also known as the Butuan Boats, a prehistoric water vessel that dated from 4th to 13th centuries A.D. However, this visit gave me an incomparable glance of the artworks on an exhibit entitled "All Out Peace Not War" by a renowned visual artist Bert Monterona . Somehow, it was a favorable experience for me seeing the 22 "tapestry" paintings that uses handwoven skirts that also influenced by the Mandaya's "dagmay". And this does not end here, all of the 22 tapestry paintings feature different advocacies that includes the protection, and conservation of the environment, depicts the preservation of the traditional creativity of the indigenous people and its traditions, sustainability of living, and the campaign of peace. It is also composed "of narratives of the culture and struggles in Mindanao that hope to provoke thoughts and foster cross-cultural dialogue as they project issues on peace, justice and the environment". The exhibit was opened last February until last July 15, however it was then extended until October 2018. All Out Peace Not War also entitled Kalinaw Hindi Digmaan (it's Visayan-Tagalog translation) is an exhibition of internationally acclaimed Filipino visual artist Bert Monterona. 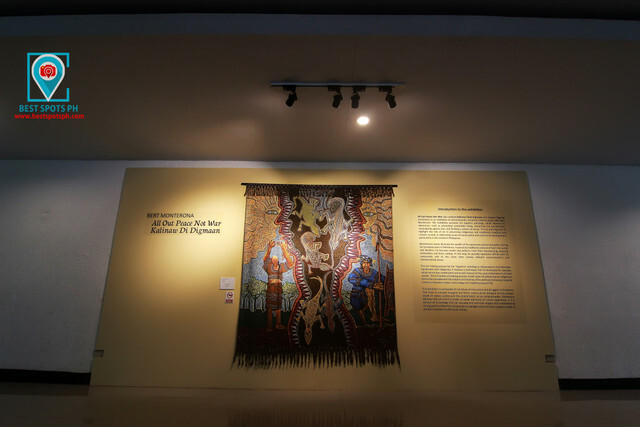 The exhibition presents his tapestry paintings, which feature his advocacies, such as promoting sustainable living, protecting the environment, campaigning against war, and building a culture of peace. 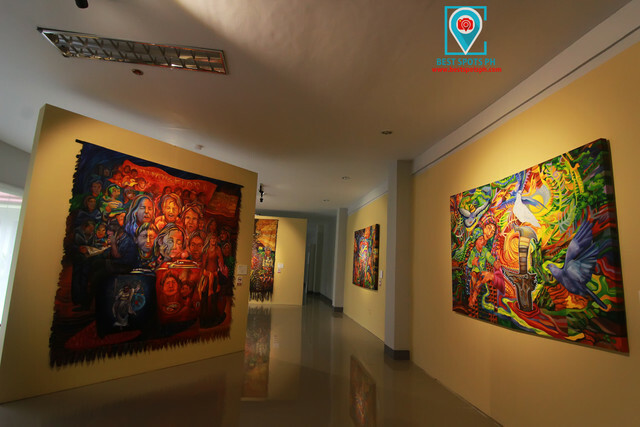 The 22 paintings aim to highlight the role of art in preserving indigenous and traditional creativity and custom, as well, as addressing issues of social justice and community development, particularly in the southern Philippines. 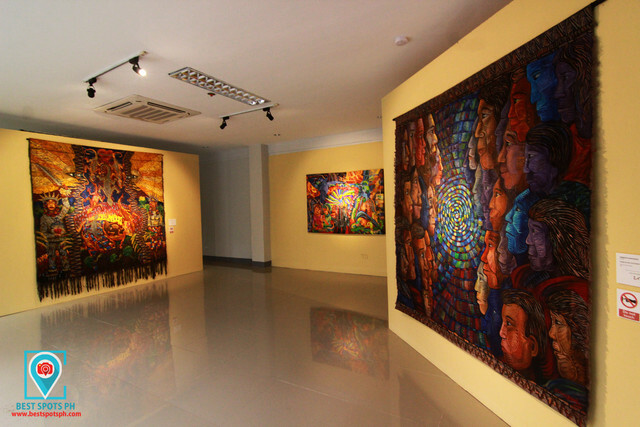 Monterona's works illustrate the wealth of his experience and art education during his formative years in Mindanao. Inspired by traditional cultures of both the Lumad and Muslims, he borrows motifs and patterns from their woodcarving, weaving, embroidert and brass casting. In this way, he proudly expresses affinity with his community and at the same time convey relevant socio-economic and environmental issues. 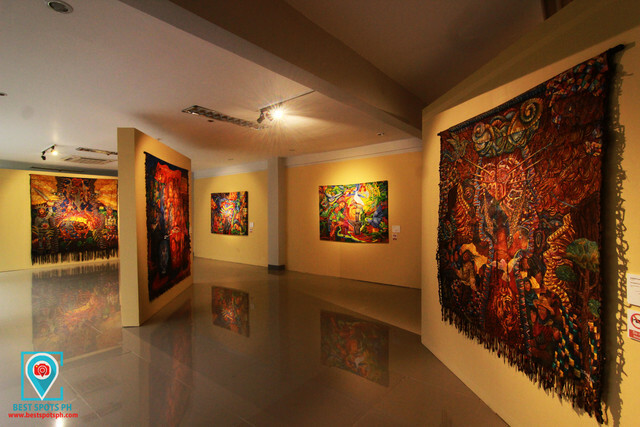 The art making process for his "tapestry" paintings is influenced by the Mandaya handwoven skirt (dagmay). It involves a technique that he developed for decades using natural dyes, textile paint and acrylic instead of the usual stretched and primed canvas. This innovative artmaking process is built upon his adherence to indigenous forms that complement the subjects and themes of his works and advocacy towards harmony between modern technology and traditional way of life. This exhibition is composed of narratives of the culture and struggles in Mindanao that hope to provoke thoughts and foster cross-cultural dialogue as they project issues on peace, justice and the environment. As an artist-educator, Monterona believes that art communicates universal elements of human experience. It is a conduit of knowledge that can educate and promote respect and understanding among communities from diverse ethnic backgrounds and social classes in order to achieve a tolerant multicultural society. Bert Monterona is a Filipino-Canadian visual artist residing in West Vancouver, British Columbia, Canada. He is actively involved as an artist, educator and cultural worker in a wide variety of practices, including design, illustration, painting, sculpture and installation. He is also a scenographer for theater and television shows. An internationally acclaimed artist, Monterona grew up in Bukidnon with his Talaandig mother and Cebuano father. He was exposed to the challenges of peace-building in Mindanao at an early age which he translated into creative art pieces. His works are mainly influenced by the past and present dynamics of socio-cultural, spiritual and eco-political norms from daily observations of the environment and events as well as his interactions with different people. 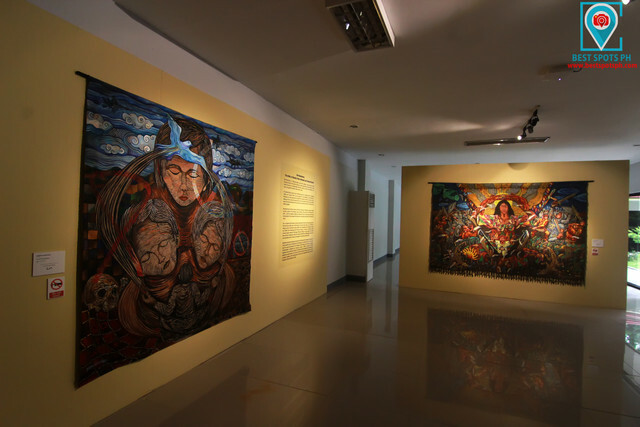 Monterona has launched numerous exhibitions focusing on Mindanao indigenous people and their culture in the Philippines, Japan, Australia, Europe and the United States since 1987. 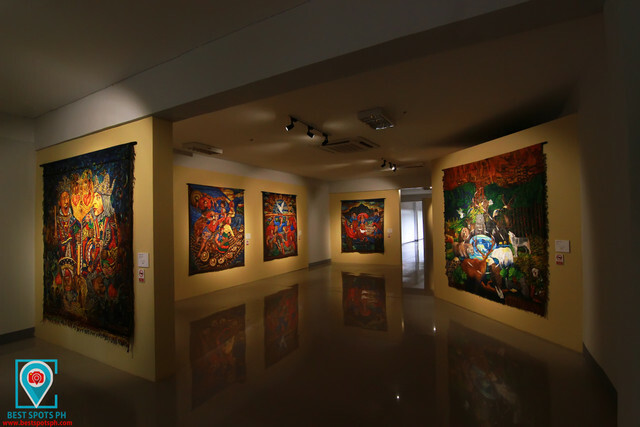 In 2015, his tapestry paintings were exhibited in Gisors, France as guest artist during the Grand Bax' Art International Art Festival and in Hong Kong at the Jockery Club Creative Arts Center. He is a recipient of the Western Australia Department of the Arts and Australia Council for the Arts Grants (1995), Asian Artists Awards of Vermont Studio Centre, U.S.A. (1998). 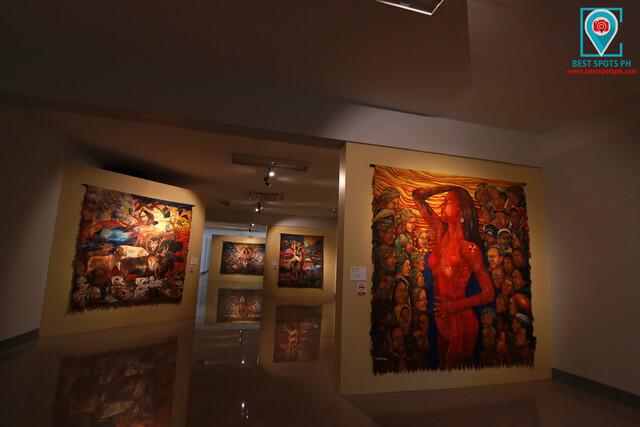 GSIS Museum Artist of the Month Awards (1998), the Art Associations of the Philippines Award, and TOMA (The Outstanding MSU-IIT Alumni Awards), in Visual Arts of Mindanao State University-Iligan Institute of Technology, Philippines (2008). He is also a finalist of the Philip Morris Group of Companies ASEAN Art Awards (1996-1998) and 2000-2001) and winner of the International Mural Festival and Competition in Manitoba, Canada (2007). Monterona became the Regional Coordinator for Mindanao of the National Commission for Culture and the Arts of the Republic of the Philippines from 1996 to 2001. He is the founder and main visual arts facilitator of the Philippine Artists Network for Community Integrative Transformation of Migrante BC, Vancouver, Canada. In 2006, he received the British Columbia Provincial Nominee Program (BC PNP) award as international artist and granted a permanent resident status of the Province of British Columbia, Canada. At present, he serves as artist-in-residence of the Leigh Square Community Arts Village Project, City of Port Cequitiam, British Columbia, Canada.